I'm always trying to get more organized in my life, and that includes working to get dinners planned every week. It's hard to keep up with a menu plan, but I think I've found a way to start each week with a little relaxing creativity and some meal planning motivation! 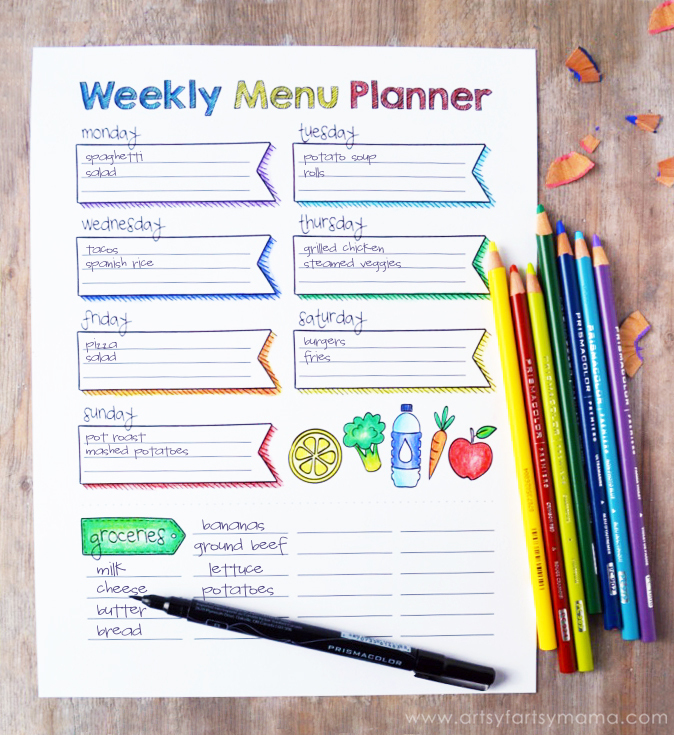 With adult coloring all the rage right now, this free printable coloring weekly menu planner is ready for you to whip out those colored pencils or markers to customize your planner each week. The menu planner comes in either vertical or horizontal format, including a section of the planner for you to make your grocery list. 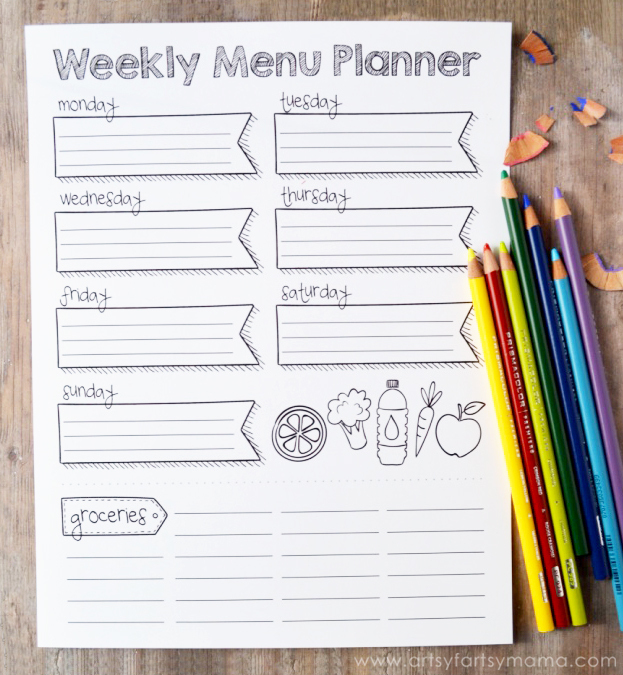 Once the planner has been colored and filled in, cut the grocery list section of the planner off and take it to the store with you to pick up the week's menu ingredients. *If you post this on the internet, credit must be given to Artsy-Fartsy Mama & linked back to this post. I love it! Thank you for sharing this printable! Exactly what I have been looking for! Love it! Thanks so much! This is perfect. Thank you for much for this! Absolutely love this!Thank you so much!